Where can I buy a smART sketcher® Projector? You can buy the smART sketcher® Projector both online and in-stores. click here to see our store locator. How do I set up the smART sketcher® Projector? 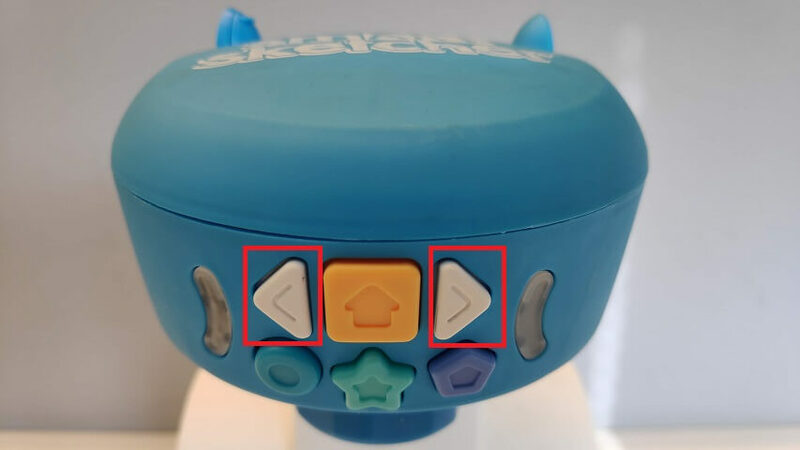 Separate the blue projector head from the white base unit. Insert the blue unit into the top of the white base until you hear a click. It helps if the blue unit is slightly angled when you push it in. Pull out the blue legs at the base of the projector. Plug the AC adapter into the back of the unit. You can also use 4 D batteries (not included). Insert batteries into the battery compartment on the bottom of the projector. Flip the switch on the back of the projector to turn it on. 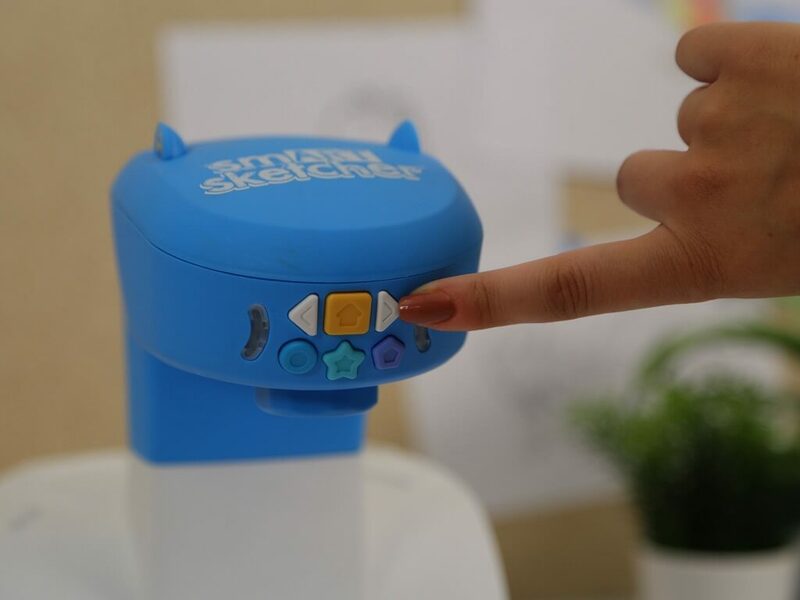 What do the smART sketcher® Projector buttons do? 1. Press the Yellow Square to go to Home Screen. 2. Press the White Arrows to Go Forward or Backward a step. 3. Press the Blue Circle to Go to the Previous Drawing or Press the Purple Pentagon to Go to the Next Drawing. 4. Press the Star Button to repeat the last step. 1. Turn ON the projector by switching the power switch. 2. Insert the SD content card into the top of the Projector. The first drawing on the SD card will be projected. 3. Press the purple Hexagon to go forward and browse through the SD content to select a drawing. 4. Once you have selected a drawing, press the white Forward arrow to start. Trace the projected step, than press the white Forward arrow to move to the next step. 5. When you’ve completed all the steps, finish drawing by adding your own details and color. 4. The App will download the SD content onto the smart device. This step occurs only once for each SD card used. 5. In the App main screen, swipe right or left to browse all the drawings available on the SD card. 6. Select your desired drawing by pressing it and click the Start button to begin the drawing activity. 7. The screen will show your selected drawing and the number of steps. 8. Click the Forward arrow button to draw the first step. 9. Keep drawing and clicking the Forward arrow button until you have completed all of the steps. 10. Great job! When your drawing is done you add any more colors and details you want. How do I connect the smART sketcher® Projector to the app? A smart device – running either iOS 8 and above or Android 5.1 and above. Turn on your smART sketcher® Projector. Download the smART sketcher® Projector App from the relevant App store. Turn on Bluetooth on your device. 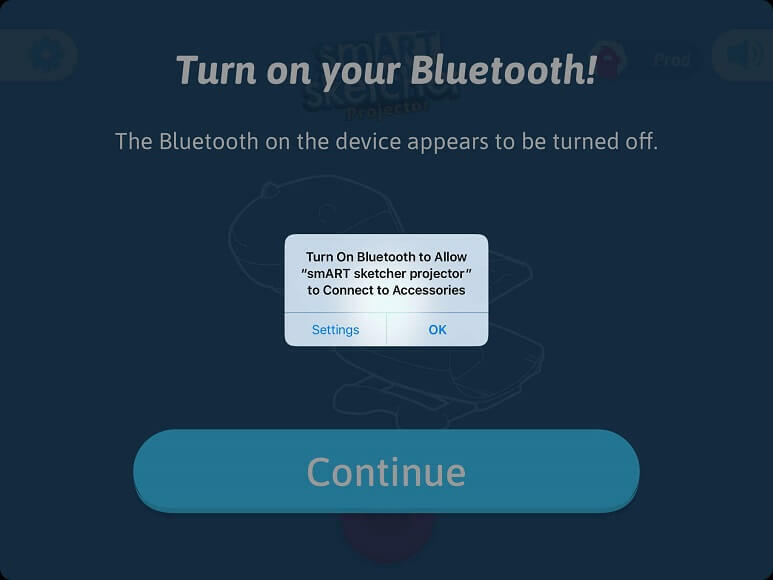 Note: no need to pair and/or connect your device to the smART sketcher® Projector from your device Bluetooth settings menu; The App will automatically locate the smART sketcher® Projector. Open the smART sketcher® App on your device. 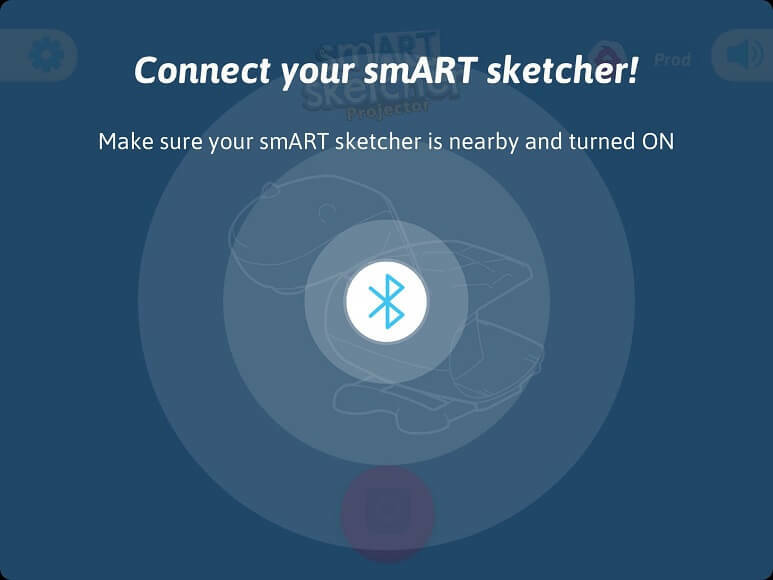 Click the “I have a smART sketcher” button in the welcome screen and navigate to the Bluetooth connection screen (you might need to provide permission to enable Bluetooth connection). 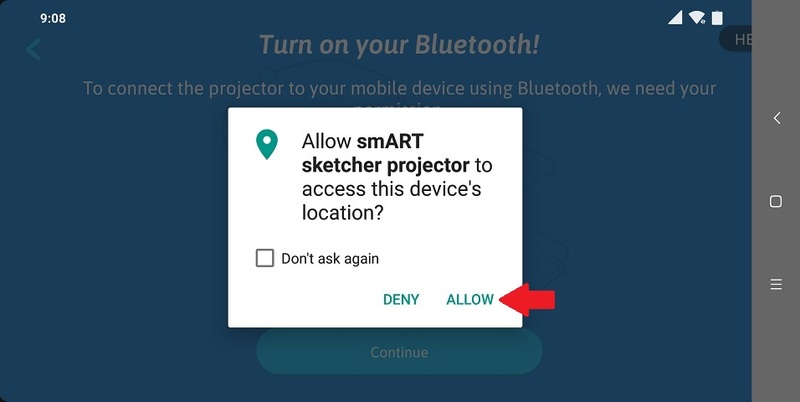 On Android, you might need to provide permission for Location services; this is required in order to allow the App to connect to the smART sketcher® Projector. The App will search for a nearby Projector. If a Projector is found, it will automatically connect to it. If no Projector is found, you can click the “Try Again” button. If multiple Projectors are nearby, the App will display a list of the detected Projectors. Select the Projector you want to connect to from the list. Success! You are now ready to draw or take a picture. 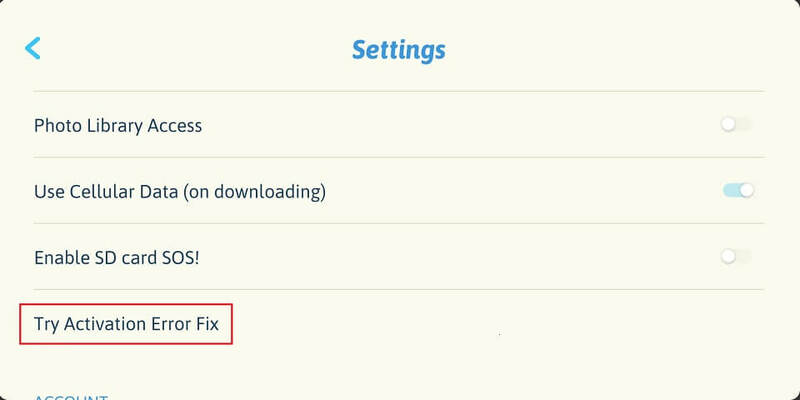 If your app still fail to connect to the smART sketcher® Projector, follow the troubleshooting steps in this Link. How do I take a picture using the mobile App? With smART sketcher®, you can draw anything you can see. Just take a picture and begin! 2. On the main screen, click the Camera icon to launch the camera preview screen. 3. Take a picture using your in-app camera. It will appear on your screen. 4. Choose one of the three filters at the bottom of the screen. Adjust the brightness by swiping the slider. 5. Press the checkmark to transfer the image to the smART sketcher® Projector. How do I sketch a picture from my photo library? 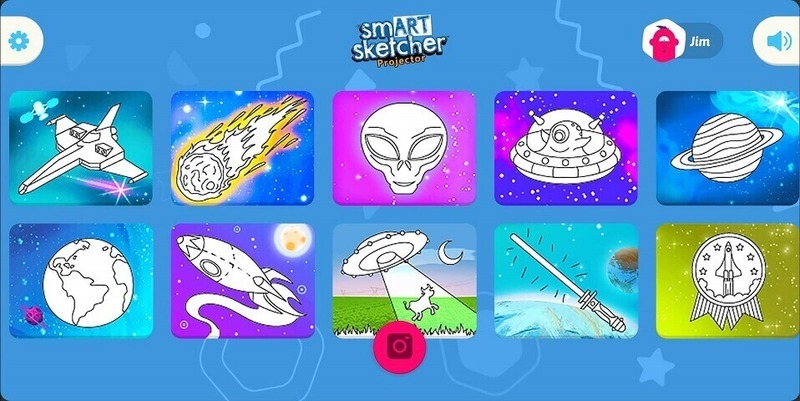 With smART sketcher®, you can sketch any picture you’ve saved on your smart device! You will first need to enable Photo Library Access from the App Settings and optionally grant OS permission depending on your mobile device OS platform and version. Notice that this is required only once. 2. Enable access to your photo library by going to “Settings” at the top of your screen. An adult may need to help with this step to verify parent consent. 3. Go back to the main screen, click the Camera icon. 4. In the Camera preview screen, click the photo on the bottom right. (It’s probably the last photo you took with your device.) That will give you access to your photo library. 5. Choose a picture from your library. It will appear on your screen. 6. Select one of the three filters at the bottom of the screen. Adjust the brightness by swiping the slider. 7. Press the checkmark to transfer the image to the smART sketcher® Projector. How do I save a picture? To enable the App to save a picture taken with the in-app camera you must first Enable the Photo Library Access (by default it is disabled). 1. Open your smART sketcher® app and go to the settings icon at the top left corner of the main screen. Drag the icon to the right to access. 2. Enable the Photo Library Access. 3. 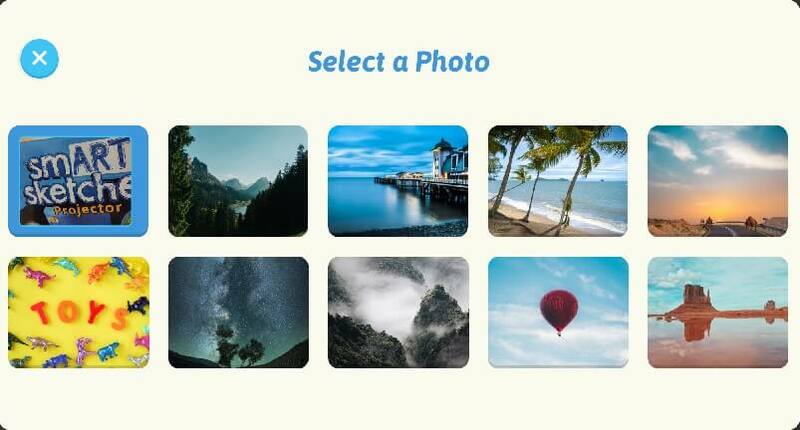 Images taken on the app will then be automatically saved to your device gallery. My Projector is on, but I can't see an image. If the SD card isn’t inserted properly, you won’t see an image (you will just see an Insert Card message). Make sure the flat side of the card faces outward and the card is fully inserted. Turn the Projector off and then on again and see if that helps. In addition, we strongly recommend using the provided AC adapter as batteries may drain fast. My SD Card isn't working. What should I do? There could be one of several solutions. 1. The SD might not be inserted correctly. Make sure the flat side of the card faces outward. Wiggle it gently to make sure it’s all the way in. 2. The SD card insertion might not been detected by the smART sketcher® Projector. You can try to trigger an SD card detection by pressing the two white arrow buttons on the Projector. You should first press the Right arrow button, keep it pressed and then press on the Left button for at least 2 second and then release both. We suggest to try several times to perform the process detailed above to trigger the SD card detection. 3. Each SD card only works with a single smART sketcher® Projector. Once it’s programmed into one Projector, you can’t move it to another. If you have more than one Projector, make sure you’re using the SD card in the correct device. If you see the below “Activation Err” message, it means the SD card may already be programmed into another Projector. You can try to fix the activation error by following the steps in the following Link. If neither of these solutions work, email support@flycatcherapps.com for a solution! In the meantime, you can still use the smART sketcher app to sketch your pictures or to draw your SD card drawing by using the SD card SOS feature. How to fix Activation Error? If you see an Activation Error message when using your SD card, follow the below steps to try and fix it. 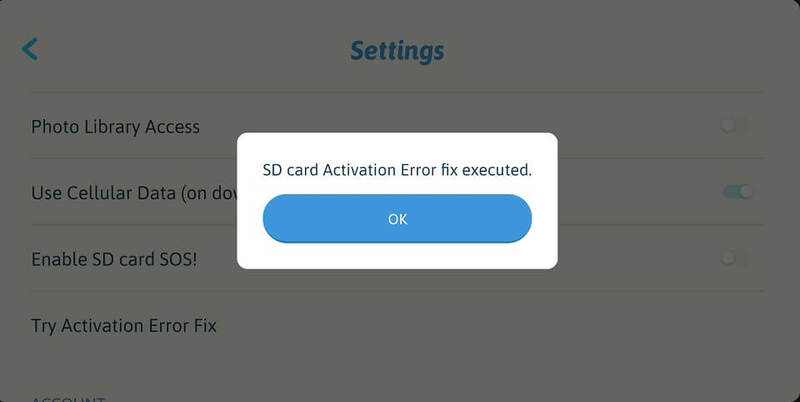 Make sure to perform this procedure only on a SD card with activation error!. For Android smART sketcher® App version 4.05 or above. For iOS smART sketcher® App version 3.42 or above. 1. 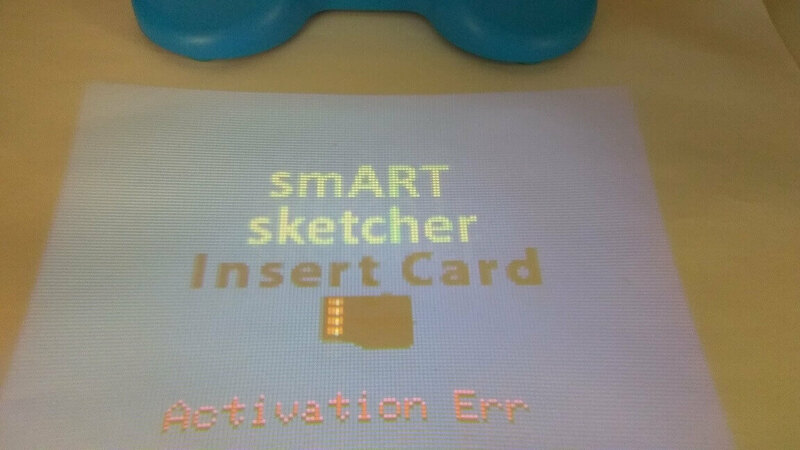 Make sure your SD card is inserted to the smART sketcher® Projector ear and the Activation Err message is projected. 2. 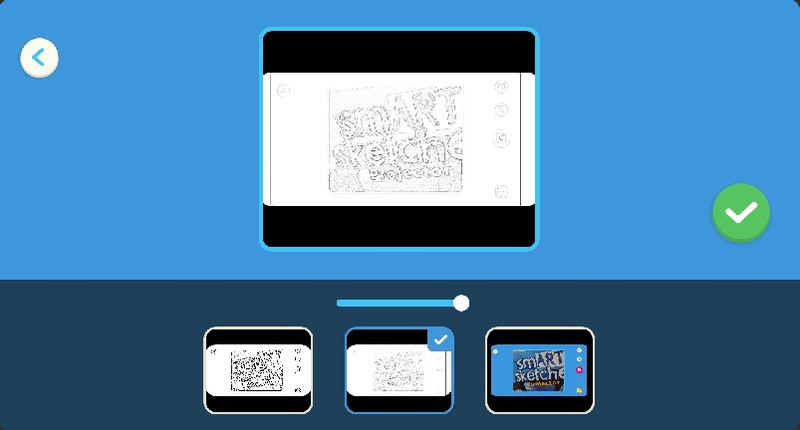 Launch the smART sketcher® App and connect to the smART sketcher® Projector via Bluetooth (Link). 3. 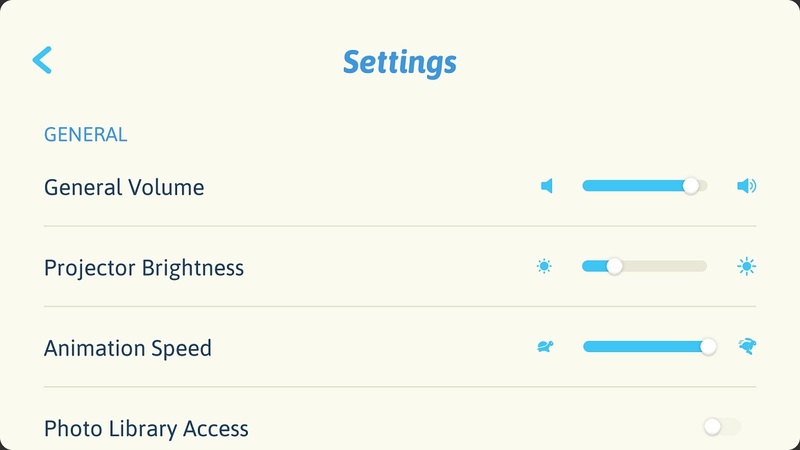 In the main screen, drag right the Settings wheel and release it to enter the Settings menu. 5. You will see a confirmation message, as below. 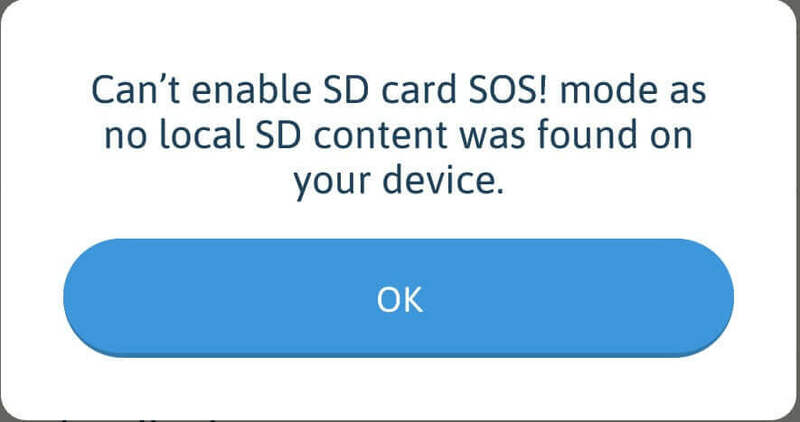 Click the OK button, remove the SD card and insert it back again. 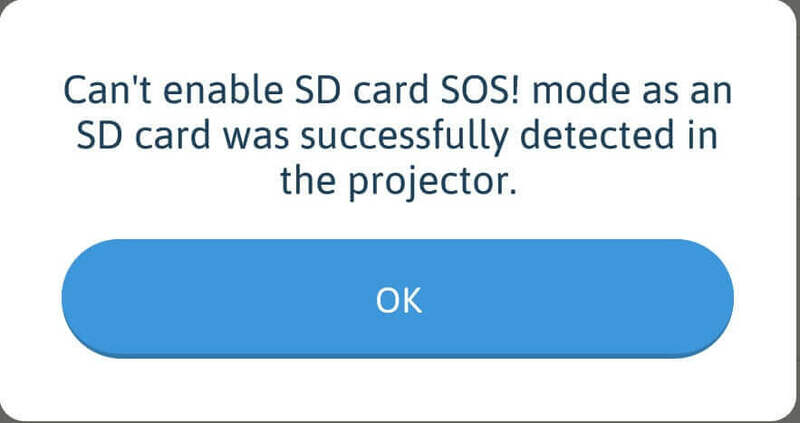 What is the SD Card SOS? 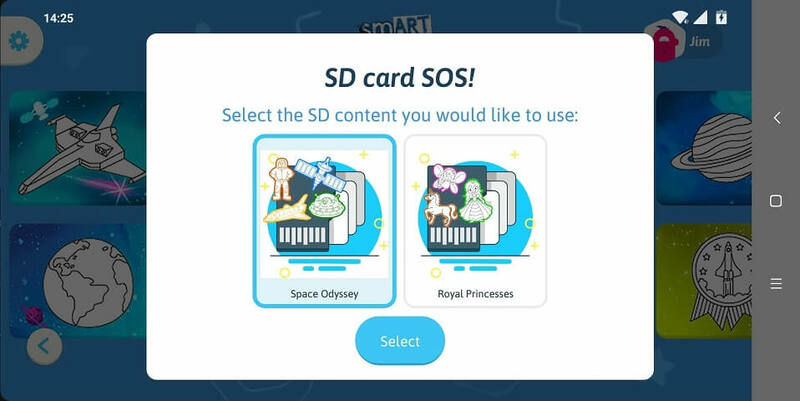 The SD card SOS is an App feature that allows you to project and draw your SD card drawings even if there is no SD card in the smART sketcher® Projector ear. It’s a great way to draw if your SD card is lost or broken. A mobile device/tablet with the smART sketcher® Projector App installed. The SD card content already downloaded on your mobile device/tablet. 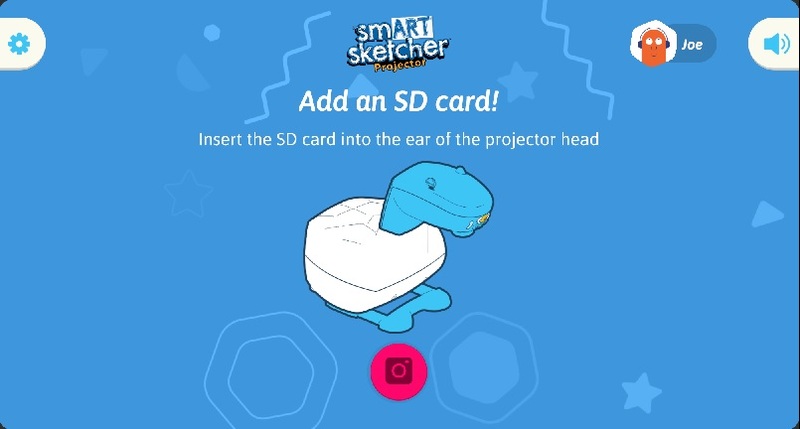 This happens automatically the first time you connect the App to the smART sketcher® Projector and an SD card is present. 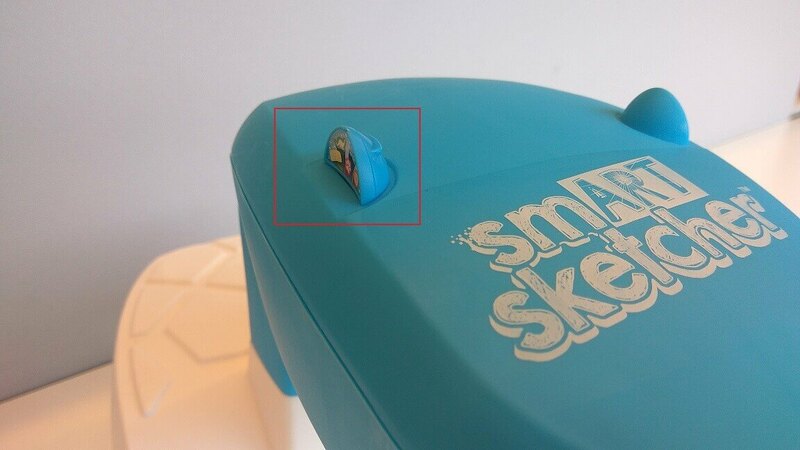 No other SD card in the smART sketcher® Projector ear. 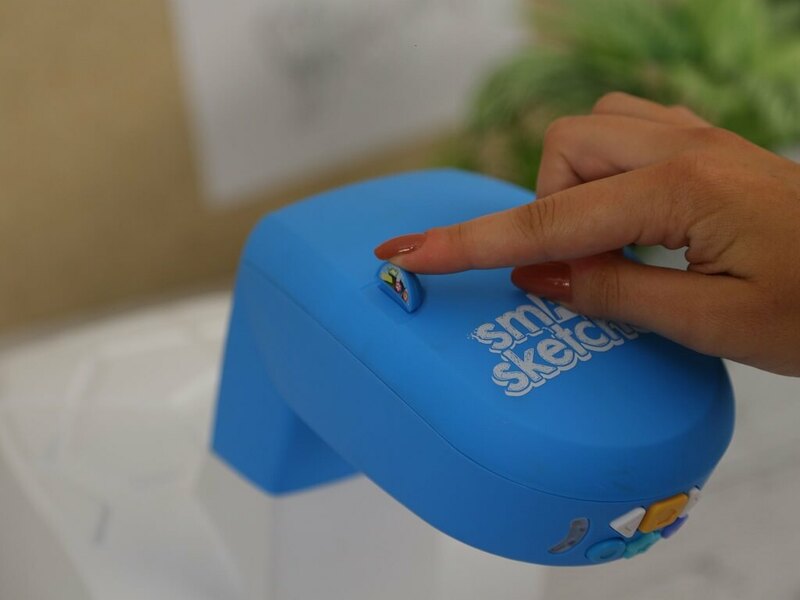 When using SD card SOS mode, each step of the drawing is transferred to the smART sketcher® Projector via Bluetooth. As a result, it takes more time to project a drawing. No animations will be shown on the smART sketcher® Projector. The navigation between drawings and steps is done solely through the App. Clicking on the smART sketcher® Projector buttons will not trigger any operation. 1. Turn-on your smART sketcher® Projector. 2. Turn-on Bluetooth on your mobile device/tablet and launch the smART sketcher® Projector App. 3. 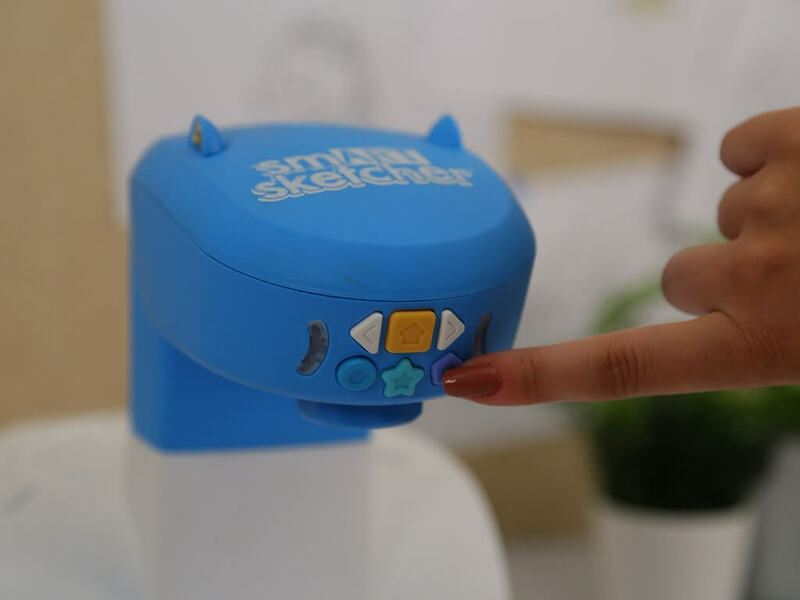 Connect the App to the smART sketcher® Projector via Bluetooth. 4. In the main screen, drag the Settings wheel to the right and release it to enter the Settings menu. 5. Enable the SD card SOS toggle button. After the toggle is enabled, click the back arrow button to return to the main screen. 6. When you return to the main screen: if you have a single SD card content downloaded on your mobile device, you will see the drawings of this SD card. If you have multiple SD cards content downloaded you will be prompted to select the desired SD card content to use. 7. To start sketching, select a drawing as usual and follow the instructions. What kind of power does smART sketcher® Projector need? 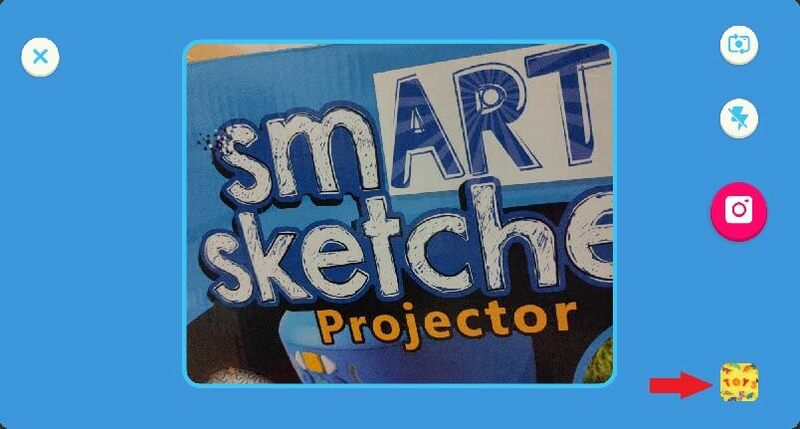 The smART sketcher® Projector operates using either an AC adaptor or 4 D batteries. Plug the adapter into the back of the projector, or insert 4 x D batteries in the compartment at the bottom. How can I dim the Projector light? 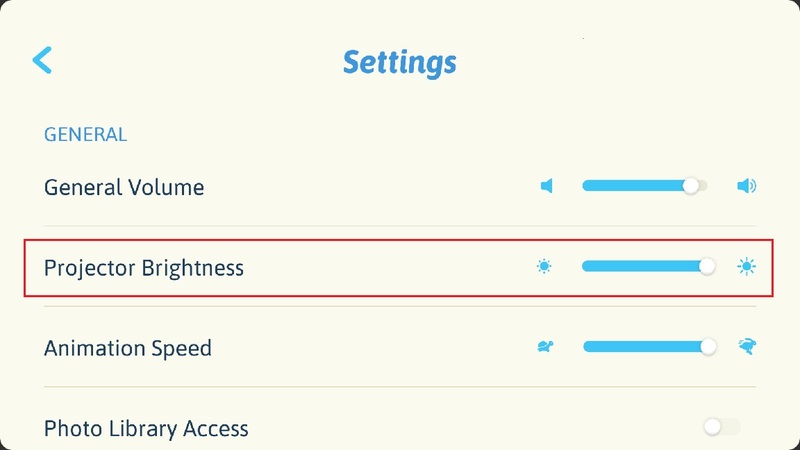 You can control the smART sketcher® Projector brightness and dim the Projector light from the App settings. 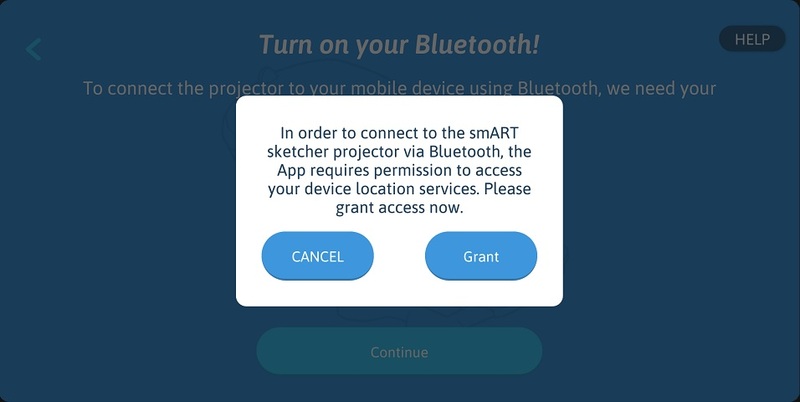 In order to locate and connect to the smART sketcher® Projector, the App requires that Bluetooth is enabled on your mobile device/tablet. If your device fails to connect to the smART sketcher® Projector follow the troubleshooting steps below. Please note that the steps are different for iOS and Android. Your smART sketcher® Projector is turned on. Bluetooth is Enabled on your mobile device/tablet. 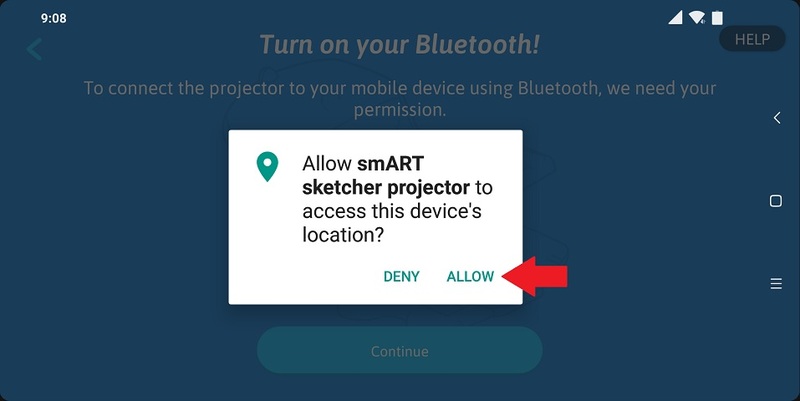 Note: no need to pair and/or connect your device to the smART sketcher® Projector from your device Bluetooth settings menu; the App will automatically locate the smART sketcher Projector. 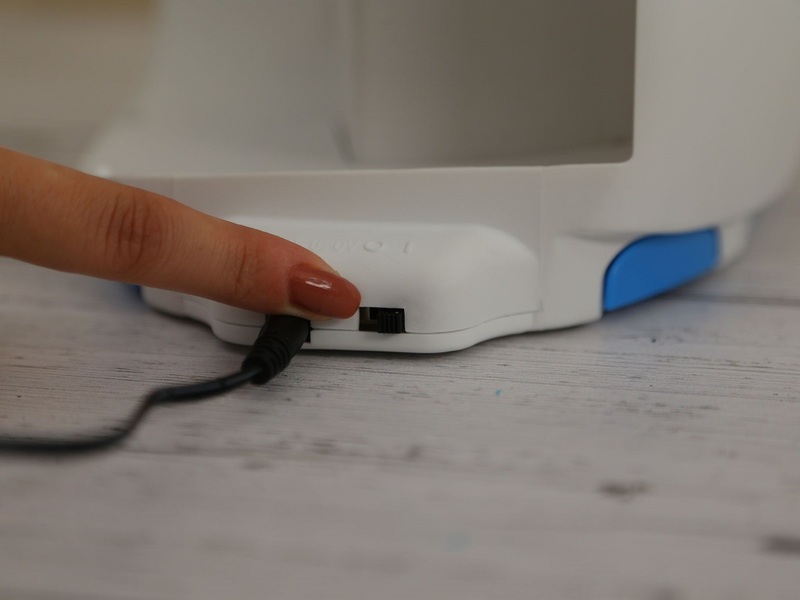 No other device is currently connected to the smART sketcher® Projector (only a single device can be connected at the same time). 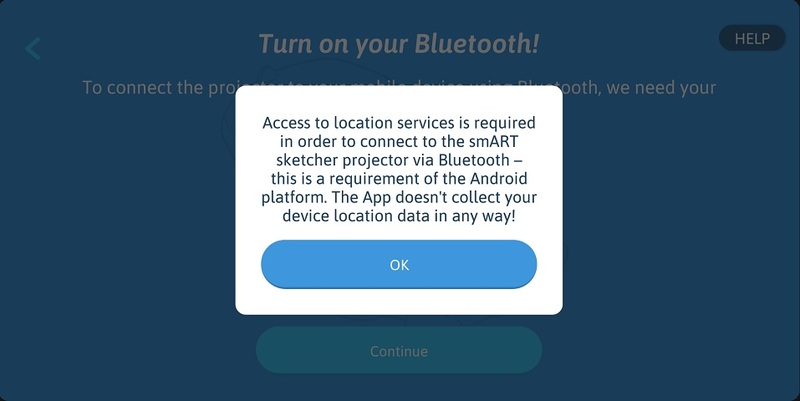 Make sure your are using smART sketcher App version 4.11 or above as it includes several Bluetooth connection fixes, most notably a check for whether Location services is enabled or not. If the App fails to locate the smART sketcher projector, please make sure that Location services is Enabled on your mobile device. This is done from your mobile device settings menu and may change per vendor and Android version. 1. Open your mobile device Bluetooth settings menu. 2. Verify the smART sketcher® Projector doesn’t appear in the list of paired devices. 3. If the smART sketcher® Projector (named: smART_sketcher) appears in the list of paired devices, make sure to unpair it. To enable in-app Bluetooth connectivity, Android requires that Location services will be enabled. This means that the user needs to provide the app permissions to access Location data. This is a one-time step; once the permission was provided, the app will not ask it again. This is required on devices running Android 6.0 and above, but may also be needed on Android 5.0 devices depending on your device vendor and model. 1. Open the smART sketcher® Projector app on your device. 2. Click the I have a smART sketcher button in the welcome screen. 4. The below explanation message regarding the need to approve the app access to Location services will appear. Click the OK button to proceed. 5. The Android system dialog to allow access to the device location will appear. click ALLOW to authorize access to the app. Note: the message is a system message provided by the Android platform and may be a little bit different depending on your device vendor and model. 6. 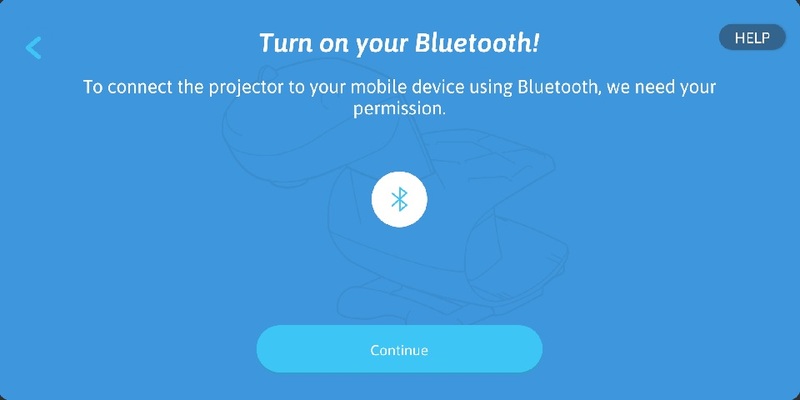 Bluetooth scanning will start to detect your smART sketcher® Projector. I’ve accidently clicked the DENY button when asked to allow access to the device location. What should i do? 1. Go to the Bluetooth screen and click the Continue button. 2. Click the OK button in the explanation message dialog. 3. When prompted by the Android system dialog to allow access to the device location click ALLOW. I’ve accidently clicked the DENY button (while selecting “Don’t ask again”) when asked to allow access to the device location. What should i do? If you denied the App access to your device location and selected “Don’t ask again”, the Android system will not prompt you again to allow access. Instead, you will need to manually enable Location access permission for the smART sketcher® app. Note: the actual screens and steps may be a little bit different depending on your device vendor and model. 2. The below dialog message will appear. Click the Grant button to open the Android settings properties for the smART sketcher® App. 3. 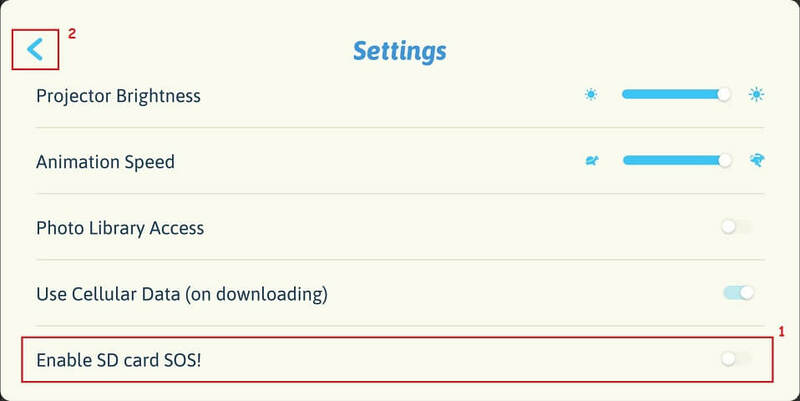 In the opened Android settings properties screen for the smART sketcher® App locate the App Permission settings and click it (the actual screen might look a little bit different depending on your device vendor and model. 4. Click the Location toggle to allow the smART sketcher® App access to your device location. Afterwards, click the back button twice to return back to the app. If your device Bluetooth is turned on, the smART sketcher® App will automatically start scanning for the smART sketcher® Projector. 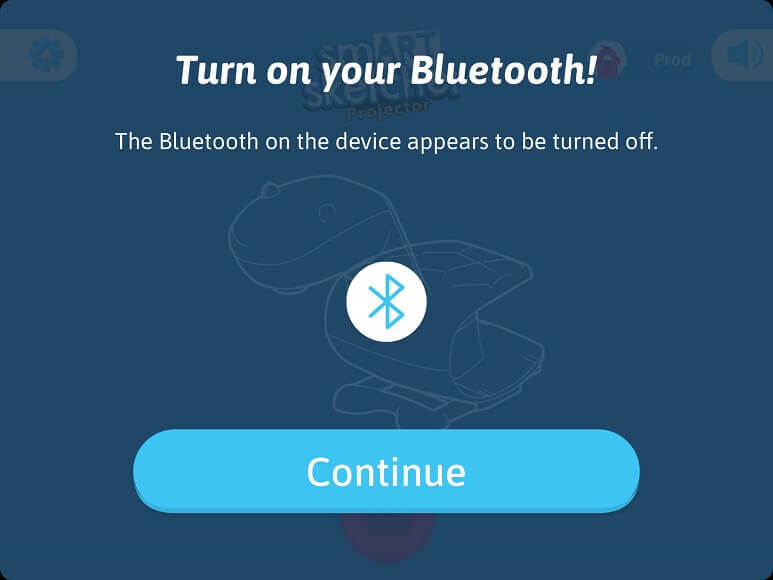 If your device Bluetooth is turned off in Settings, the following system dialog will be shown. Click the Settings button to go the iOS Settings screen. In the Settings screen, turn on Bluetooth. 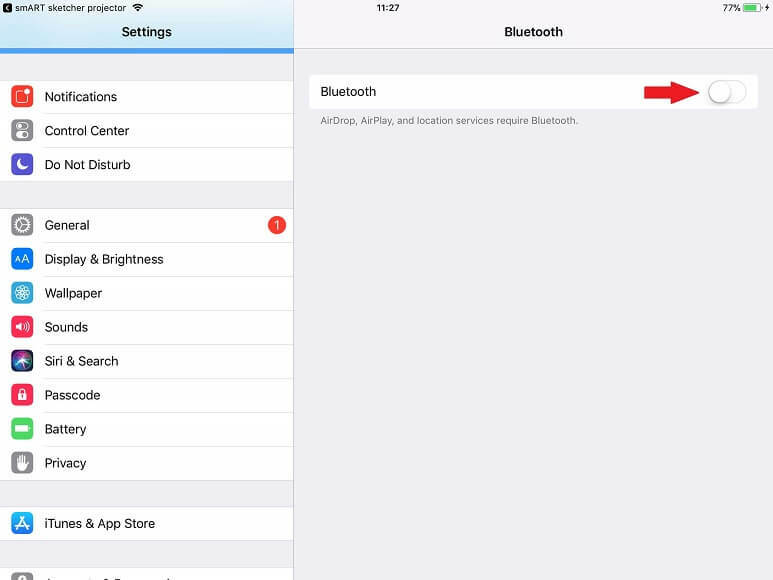 If you reach the Bluetooth screen in the App and clicking the Continue button does nothing, it might be that your device Bluetooth is turned on in Settings, but it is disabled in the Control Center. 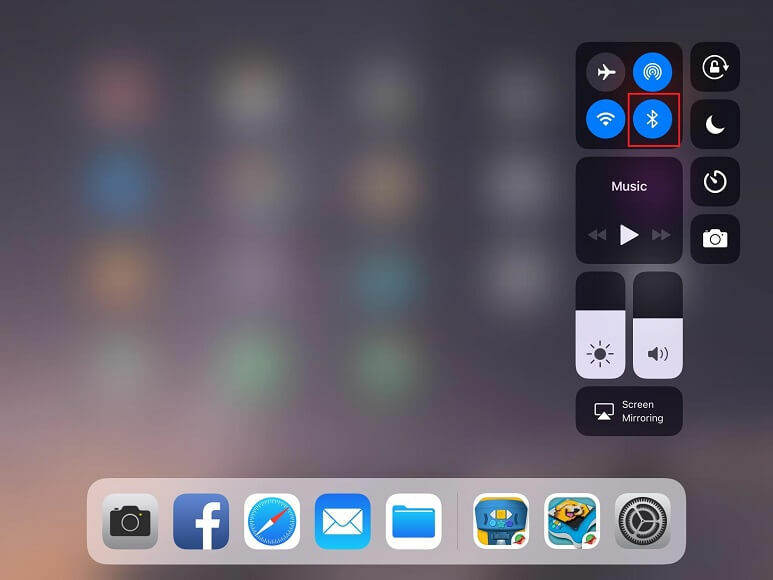 Swipe up from the bottom of the screen to launch the Control Center. Make sure Bluetooth is enabled. How do I create a Flycatcher account? The Flycatcher account creation is a one time setup. 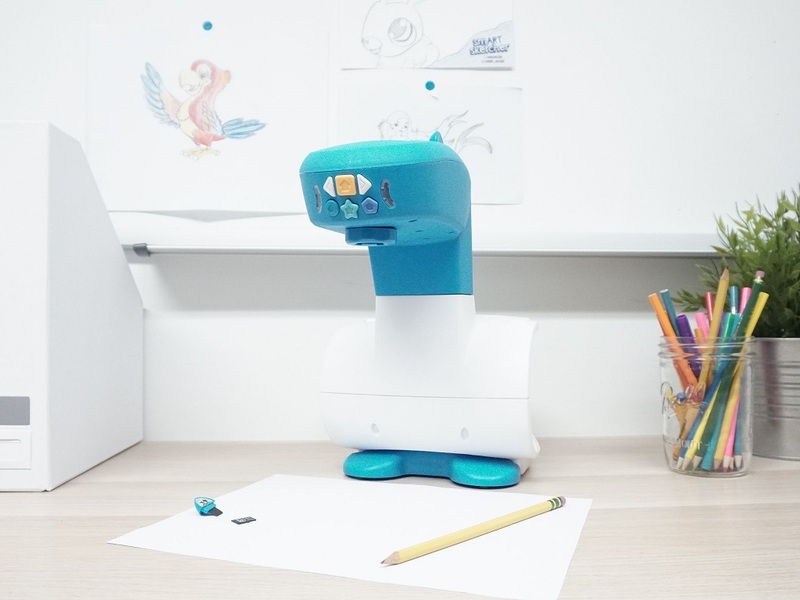 Flycatcher is the corporate name for the smART sketcher® Projector. 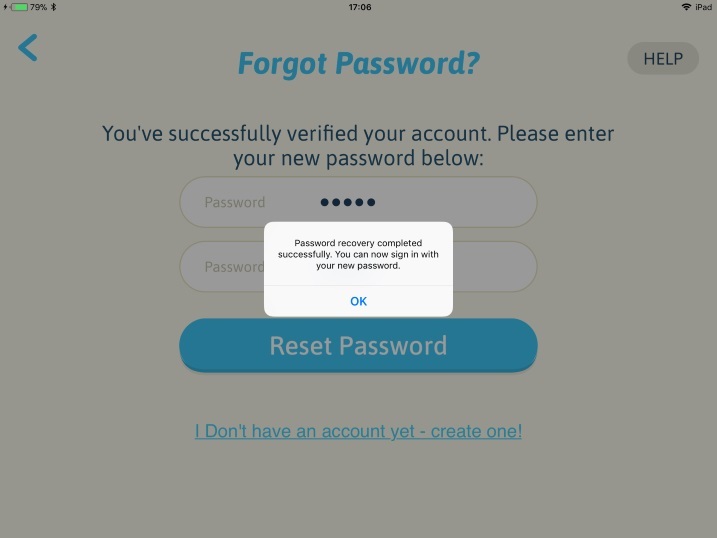 Once an account is created, the App will remember the account details. Your Flycatcher account can then be used for all future products from the company. Download the smART sketcher® App to your mobile device. It’s available from the Apple Store, Google Play and Amazon. 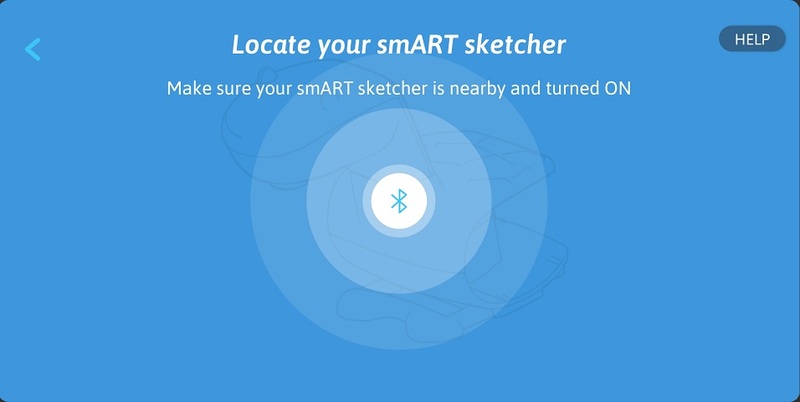 Open the App and click the “I have a smART sketcher” button in the welcome screen. Follow the assembly steps or click SKIP to skip the assembly instructions. 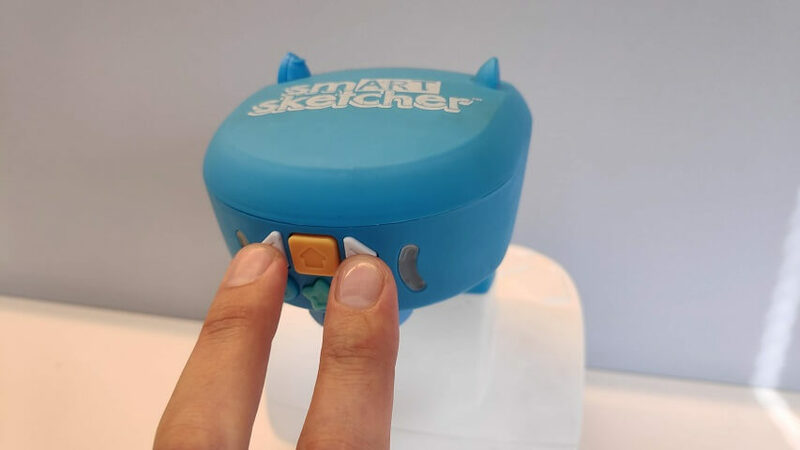 The App will search for a smART sketcher® Projector. Make sure your Projector is nearby and turned ON. In the Account Creation screen, enter your first and last name, your email address and select a password. Click “Next” to continue. 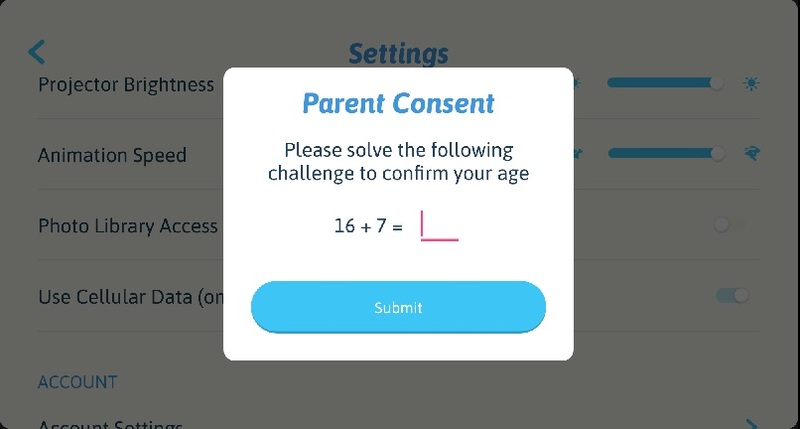 In the Parent consent dialog, answer the mathematical challenge to verify your agreement. In the next three screens, fill in the details for the person who is going to use the App. These include a nickname, gender and birth year. Select an Avatar and interests from the list. That’s it! Your account is ready. Next time when you open the App, click the “I have a smART sketcher” button – the App will automatically sign-in using your created account. 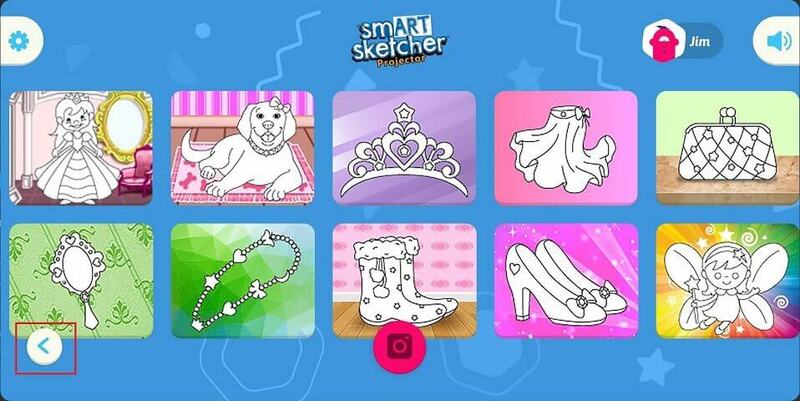 How do I log in to the smART sketcher® App? If you already have a Flycatcher account, you can sign in to the App with it. Open the smART sketcher® App. Click the “Sign in with Flycatcher ID” link in the bottom of the welcome screen. In the “Sign In to your account” screen, fill-in your Flycatcher account email address and password. Tada! You are now signed to the App with your Flycatcher account ID. Initiating the password recovery process by entering the Email address you used for registration. 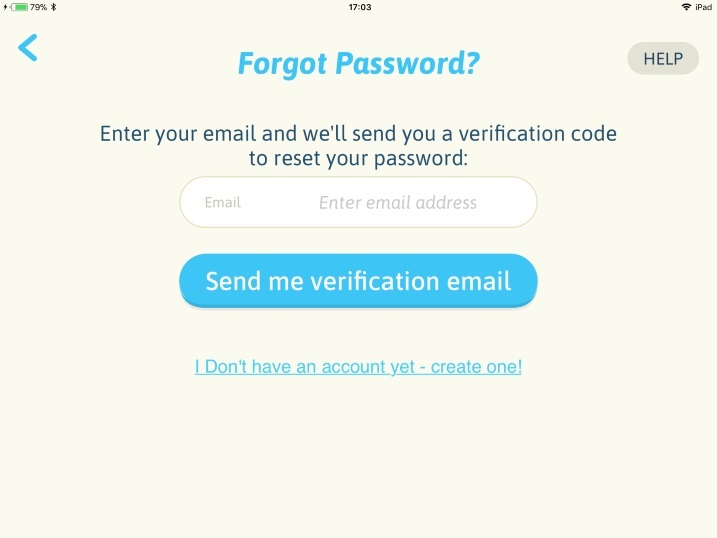 You will receive an Email with a recovery code that you need to enter in the App. Notice: the recovery code is valid for 30 minutes, after that it will expire. 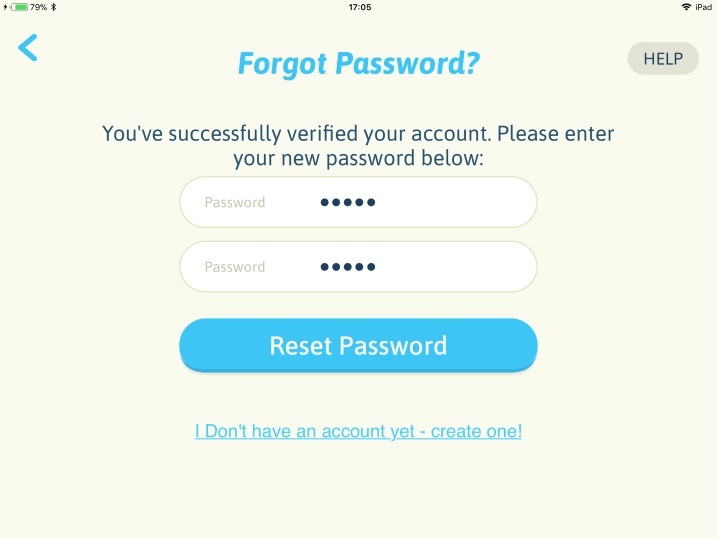 Once the recovery code is verified successfully by the App you will be prompted to enter a new password for your account. 1. Open the smART sketcher® App. 2. Click the Sign in with Flycatcher ID or Sign in with a different Flycatcher ID link in the bottom of the welcome screen. 3. 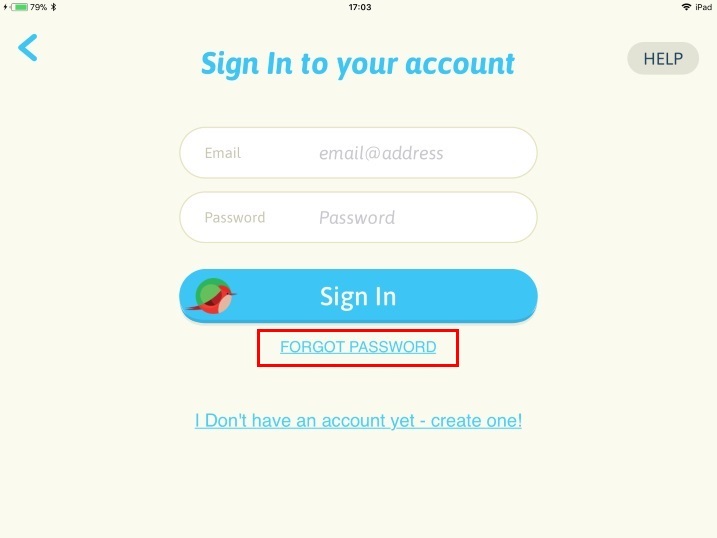 In the Sign in to your account screen, click the FORGOT PASSWORD link. 4. Enter the Email address that was used for your account registration. Click the Send me verification email button and we will send you an Email with a verification code. 5. 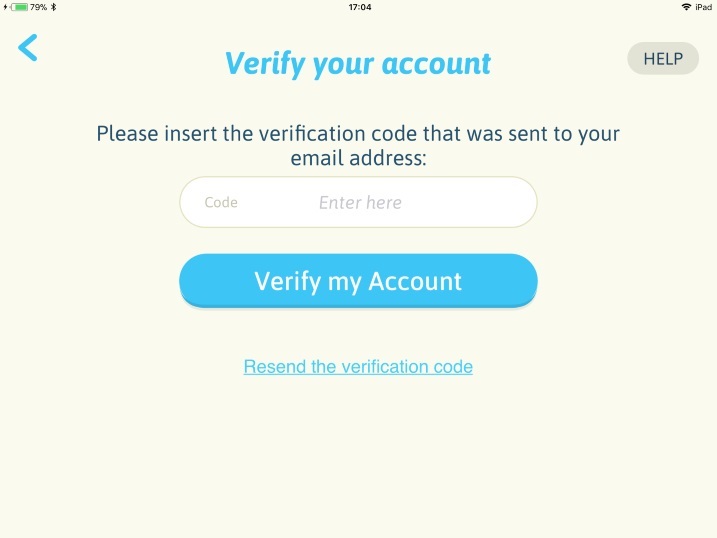 Enter the verification code you received by Email in the Code field and click the Verify my account button. If a valid verification code was entered you will be promoted to select a new password. In case you didn’t receive an Email with the verification code, click on the Resend the verification code link and we will resend the code again. 6. Enter your new password in the Password fields. Click the Rest Password button to complete the password recovery process. 7. The password recovery process completed successfully. A click on the OK button will redirect you to the Login page. Enter your account Email address and your new password to login into your account. 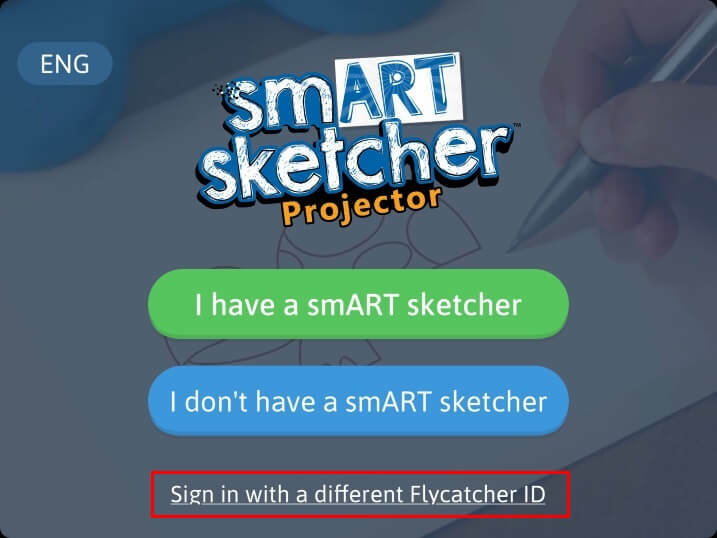 What's the difference between a smART sketcher® account and a Flycatcher account? Your smART sketcher® account actually IS a Flycatcher account. 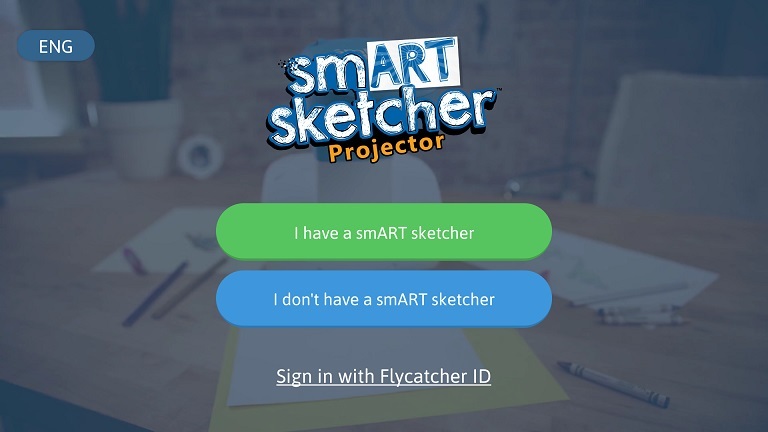 Flycatcher is the corporate name for smART sketcher®. As Flycatcher releases additional products, your account will work on all of them. Can I use my Flycatcher account on multiple devices? Sure. If you already have a Flycatcher account, you can sign-in to the App with it from multiple devices. Does the App support multi-language? Yes. The smART sketcher® App has multi-language support. 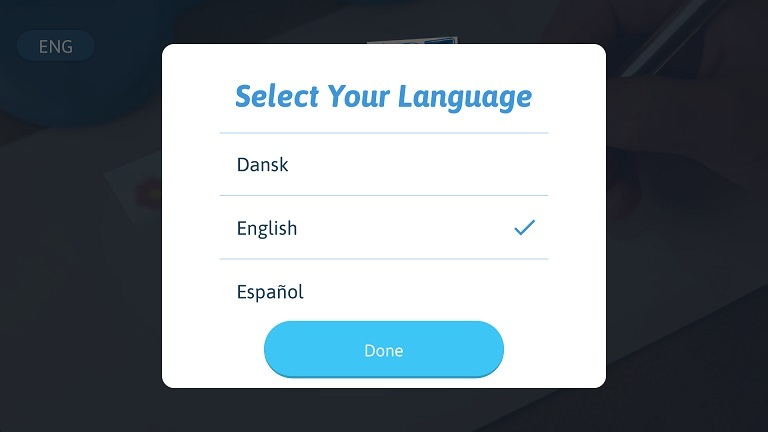 We currently support more than 10 languages and we will be adding more languages soon. 2. Click the language selection button at the top left corner of the Welcome screen – initially it will show: ENG. 3. Select your desired language from the list and click the “Done” button. 4. The App language will change to the selected language. Do I need a smart device to use the smART sketcher® Projector? You can draw and sketch with smART sketcher® Projector without a smart device using the SD cards. However, to connect to the App and sketch pictures that you take with your device camera or that you already have in your photo library, you’ll need a smart device. How does smART sketcher® help kids learn? Kids learn by playing. smART sketcher® bridges the gap between schoolwork, homework, and fun, engaging kids with technology, while teaching them core skills. Learn-A-Language Alphabet Packs are based on national curriculum standards. Each pack contains step-by-step letter writing and age-appropriate skill builders. Many of the words appear in the national reading vocabulary lists. The activities are in line with the Common Core Standards for Reading Foundational Skills. The smART sketcher® Creativity Packs enhance kids’ small motor development, creativity, and story-telling, all important skills for 21st century learners.